We’re thrilled to announce the launch of Ribbet for iPad, which is now available for download on the App Store. 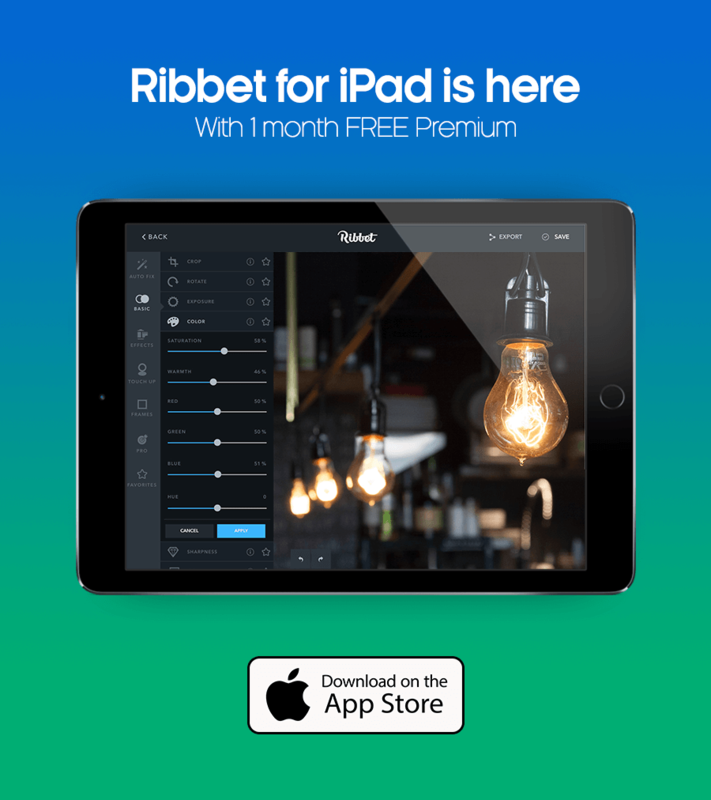 Get a free month of Ribbet Complete when you upgrade in-app, which unlocks all functionality both on the iPad and on our desktop photo editor at Ribbet.com. We’ll be adding new functionality to the app very regularly, and our next big update will include Grid Collage and more Effects, followed by the ability to add Text. Ribbet for Android and iPhone are also under development and we are very excited to be releasing these in 2017. We hope you love our apps and please let us know if you have any suggestions or feedback.